Preparing meals at home seems infinitely more doable when you only have to dirty one or two dishes. 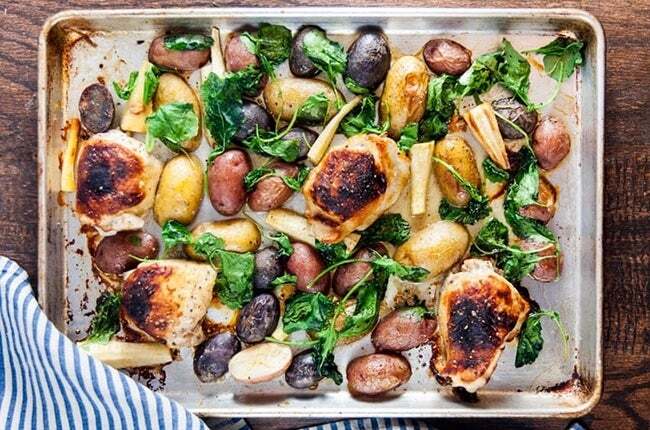 That’s why sheet pan meals have been all the rage lately; you just prepare the ingredients, then plop them on a baking sheet and let them cook for a certain amount of time. The entire process is quick, efficient, and oh-so-tasty. 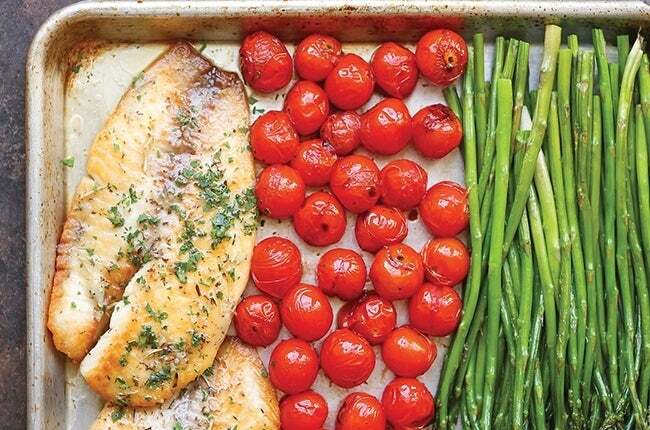 If you’ve never tried a sheet pan recipe before, there are hundreds of options available online to suit your tastes and schedule. We hunted down ten of the best recipes, from fish dinners to vegetarian-friendly dishes. 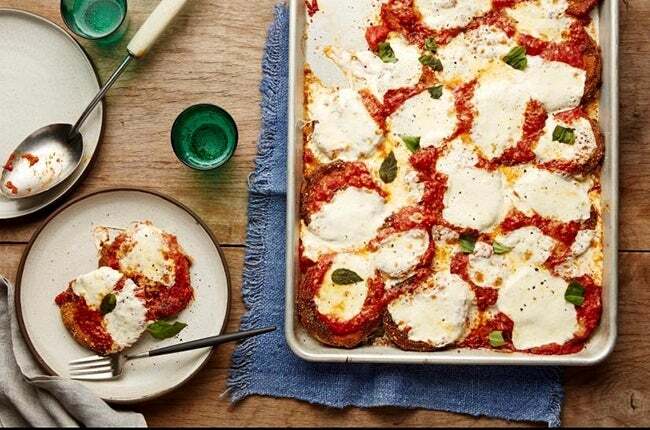 Give one a try tonight to see how much easier dining at home can be if you know how to use your baking sheet properly. Maybe you’ll even start to cut down on your Chick-fil-a runs during the week once you know how to use these recipes. 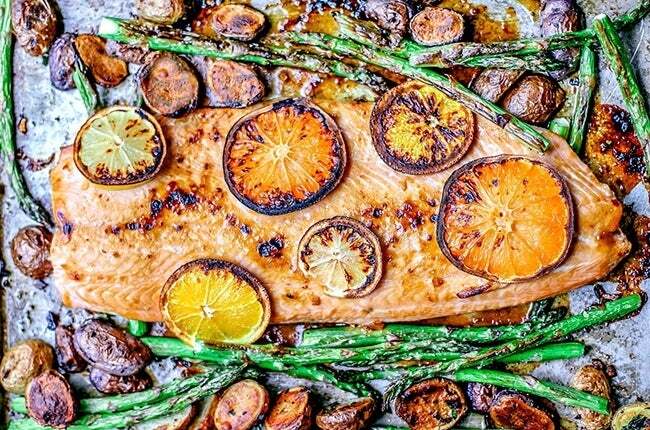 Preparing salmon can be tricky if you want to preserve the good flavor and texture. However, this recipe from Killing Thyme blends a wonderful assortment of citrus flavors, as well as some spices and sauces, to create a fish dish anyone can enjoy. The asparagus and potatoes make excellent sides, and the whole sheet dish only takes about half an hour to make. 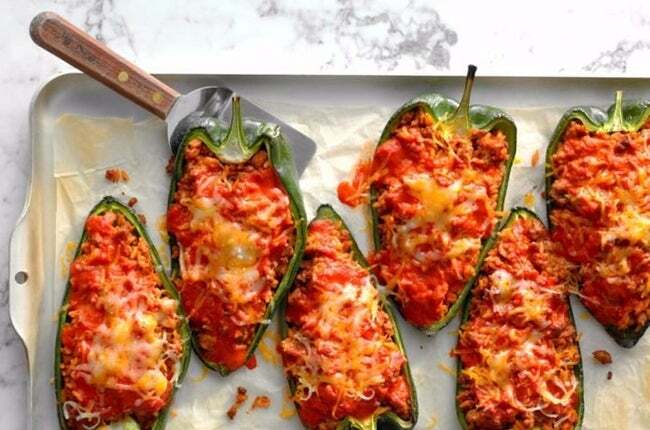 Topped with low-fat sour cream and some spicy salsa, these stuffed peppers are anything but boring. The best part is that you can make them in under half an hour, so when those last-minute dinner plans arise, you can always rely on this one-sheet recipe from Taste of Home. This Food Network recipe is as simple as could be, and yet guests would still be impressed by the juicy roasted tomatoes and cheesy chicken breasts. 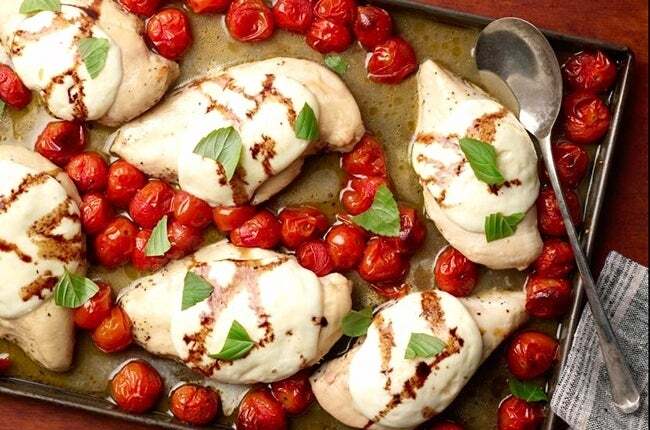 Just preheat the oven, prepare the seasoning, and scatter some chicken and tomatoes on the baking sheet. Cook for a bit and drizzle some sauce over it, then voila! You’ve got a meal fit for a special occasion. Ever considered making your toast in the oven? This recipe from Bon Appetit teaches you how to cover the bread in oil and seasoning, then toss it in the oven with some asparagus and scallions. 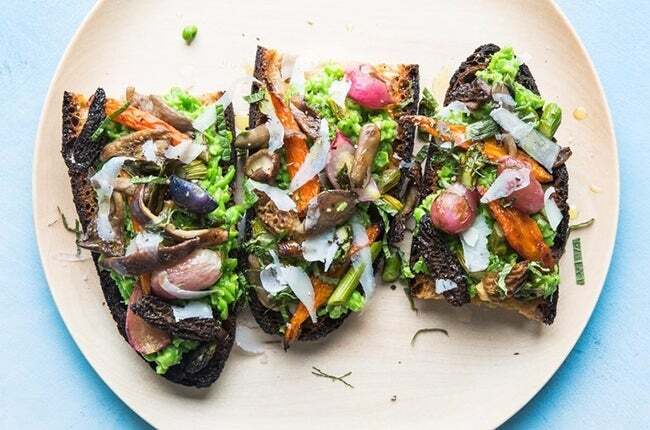 You roast everything until the ingredients are all crispy, then serve the roasted veggies and mashed peas on top of the delightfully crunchy bread. Flavorful but healthy, this recipe from Healthy Delicious requires less than ten ingredients and only takes about an hour to make, most of which is cooking time. Mix together the honey and Dijon mustard, add the chicken and sides to a large bowl, and mix everything together. Then put the dish on a baking sheet and let it bake for about 45 minutes. Life Made Sweeter has come up with the perfect healthy recipe for busy nights. 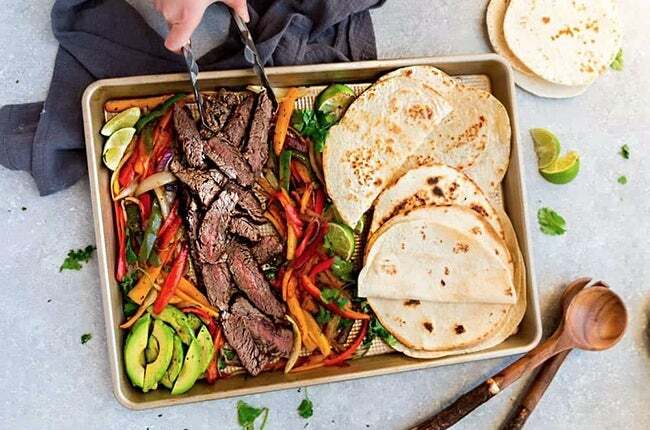 All you need are some fresh tortillas, steak, chopped veggies, and seasoning to create a dish that’s as flavorful as it is simple. Serve with some fun toppings like cheese, guac, or low-cal sour cream. Usually eggplant parmesan calls for a messy frying process that’s both unhealthy and unnecessary. Instead, this Food Network recipe shows you how to achieve the same great taste by just baking the ingredients on a sheet. The whole thing takes about an hour to make, so you can even whip the dish up on weekday nights. There’s nothing more delicious than fresh fish served with a garlic butter sauce. In just thirty minutes, you can start serving the flakiest, most flavorful fish to friends and family. The sides are scrumptious, too; just plop some cherry tomatoes and asparagus on the pan and drizzle with appropriate seasoning, then bake until ready. Get the recipe from Damn Delicious. Although you do have to marinate this chicken overnight to achieve the best flavor, the rest of the process is easy and quick. 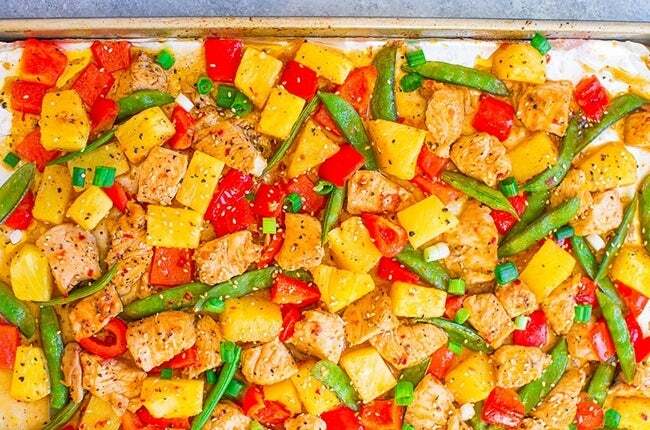 The recipe from Averie Cooks shows you how to chop up the chicken breasts, drizzle them in appropriate sauce and seasoning, then bake it on a sheet with fresh pineapple chunks. Is your mouth watering yet? Forget dropping $50 on fresh seafood tonight. 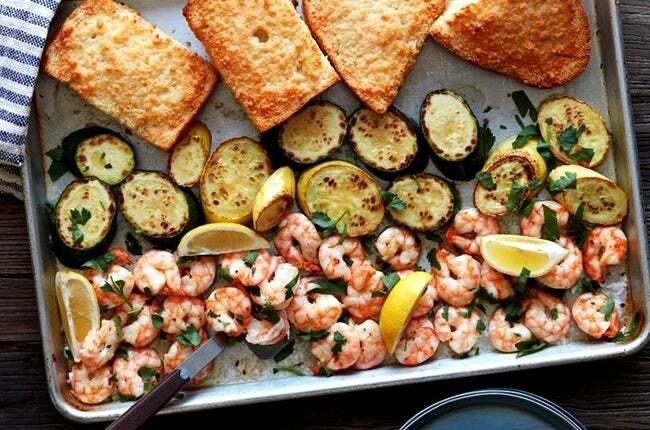 This Food Network recipe barely requires you to dirty any dishes and will give you that garlicky shrimp flavor you’ve been craving. The crusty French bread and yummy veggies only add to the dish’s appeal. Pair your plate with a glass of wine and pat yourself on the back for saving money and keeping things simple.